The behavior of FBI Director James Comey, which seems to have had an effect on the recent election, has been described as a low point in the history of that esteemed organization. Hardly. 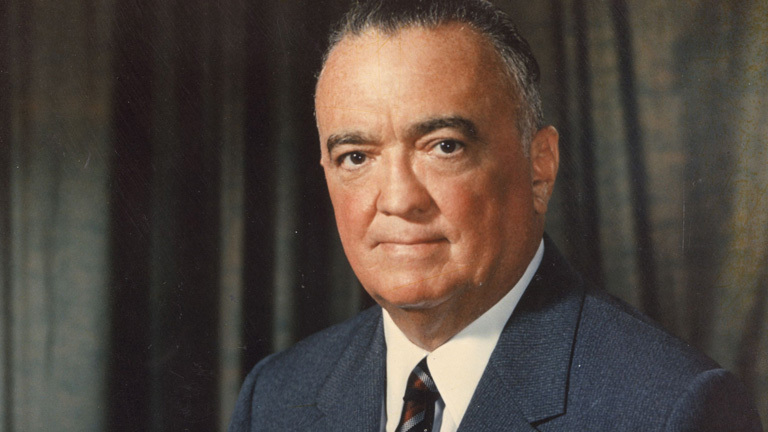 Does no one remember J. Edgar Hoover? Maybe not. Recently, in a conversation with a young college grad (not a deplorable), the name Grace Kelly came up. The young person had no idea who she was. Hoover, of course, was the legendary founder of the FBI and its director for more than 35 years. An iconic figure in his lifetime, it has since been revealed that he abused his office in a number of ways, including keeping blackmail material on people—even presidents. To put the recent bad publicity in perspective, it has also become known that his FBI participated in one of the most disgraceful episodes of the 20th century—the cover-up of the murder of President John F. Kennedy. Hoover decided almost immediately after the murder that Lee Harvey Oswald had acted alone. His bureau did the investigative work for the Warren Commission, which merely interviewed witnesses sent to it by the bureau, and relied on the information supplied by FBI. Those witnesses and details were screened by the FBI to exclude the considerable body of evidence pointing to a conspiracy, in which Oswald’s role was to take the hit, literally, for the crime. The Warren Commission ignored some FBI information, which contradicted that conclusion. None of this was known in 1965, of course. When the Warren Commission issued its report, very few doubted it. But over the years, up to this day, researchers with access to slowly declassified information have convinced most of the country that there was a conspiracy. If the awful crime did not involve our own government, then surely the cover-up did. We now know that Oswald was hardly a lone nut as the Warren Commission termed him. In the words of the late Pennsylvania Sen. Richard Schweiker, who reopened the investigation into the assassination in the 1970s, Oswald had “the fingerprints of intelligence all over him.” Gaeton Fonzi, a partner in Gold Coast magazine at the time, was hired to look into possible Oswald’s connections to the anti-Castro movement in Florida. Fonzi spent five years on the government payroll and concluded that even the second investigation was rigged. He exposed the charade in his book, The Last Investigation, which first appeared in Gold Coast as two long articles in 1970. Upon his death four years ago, The New York Times called Fonzi's book one of the best on the assassination. Fonzi, and other investigators following up on his pioneering work, found evidence that Oswald had both CIA and FBI connections, and the latter must have been known to J. Edgar Hoover at the time of the assassination. He also probably knew that Jack Ruby, the man who murdered Oswald in the days after JFK’s death, had organized crime connections, and he also should have known that Ruby was part of the CIA’s anti-Castro war—smuggling weapons to anti-Castro groups. It is all pretty damning stuff. We all know this now, on the 53rd anniversary of the crime, but Hoover surely knew it then—and chose to conceal it. Its recent embarrassment may not be the FBI's finest hour, but it is a long way from its worst.